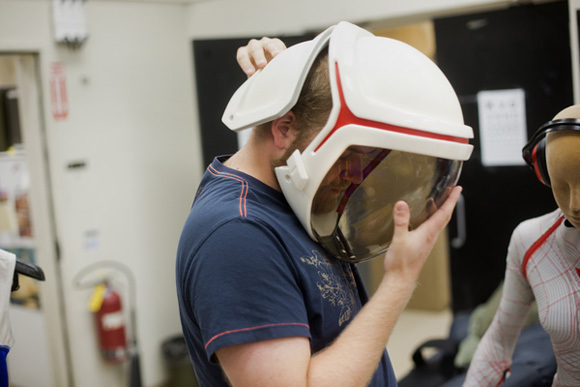 A researcher demonstrates a 3d-printed and thermoformed space helmet in the Man Vehicle Lab at MIT in Cambridge, Massachusetts, USA. AeroAstro master's student Bobby Klein prepares an unmanned aerial vehicle (UAV) for flight in the Aerospace Controls Lab at MIT in Cambridge, Massachusetts, USA. The lab develops control systems for the vehicles. 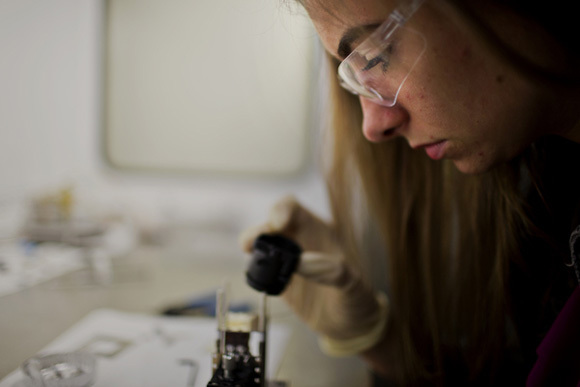 AeroAstro master's student Natalya Brikner works under a hood to mount an ion emitter on a 3-axis stage for use in a vacuum chamber in the Space Propulsion Lab at MIT in Cambridge, Massachusetts, USA. 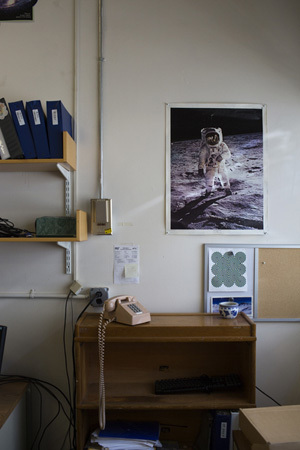 Images of astronauts, space, rockets, and airplanes hang in the graduate student offices in the Aerospace Controls Lab at MIT in Cambridge, Massachusetts, USA. AeroAstro master's student Carla Perez-Martinez work in in the Space Propulsion Lab at MIT in Cambridge, Massachusetts, USA. A model displays prototype spacesuit underwear in the Man Vehicle Lab at MIT in Cambridge, Massachusetts, USA. 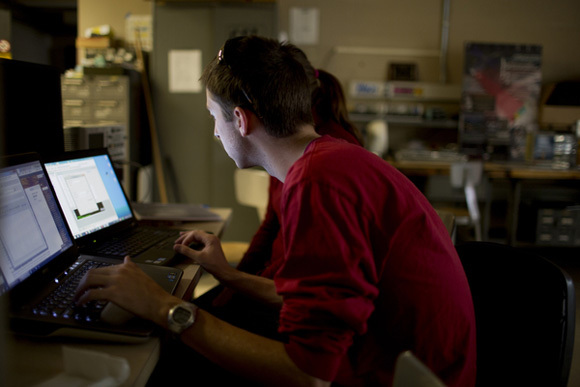 People work on a project in an AeroAstro lab at MIT in Cambridge, Massachusetts, USA. 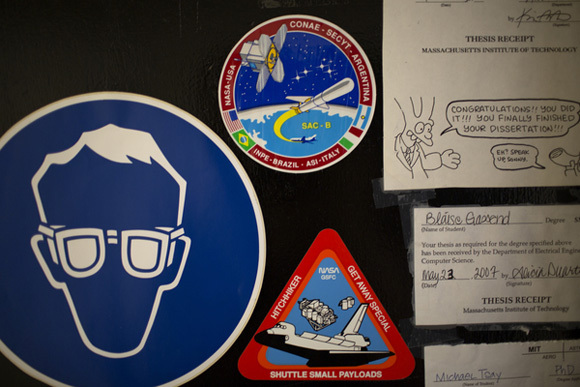 Stickers and cartoons decorate an office door in Building 37 at MIT in Cambridge, Massachusetts, USA. 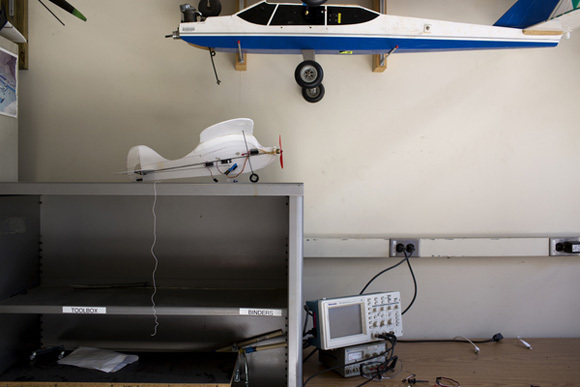 Model airplanes hang from on the wall above a desk in the Aerospace Controls Lab at MIT in Cambridge, Massachusetts, USA. 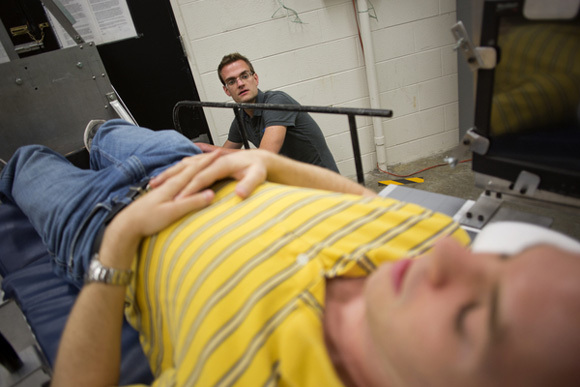 AeroAstro PhD student Justin Kaderka lays in a centrifuge while master's student Chris Trigg prepares the simulation in the Man Vehicle Lab at MIT in Cambridge, Massachusetts, USA. The centrifuge simulates a gravity environment and is used in research looking into ways to counteract the physical problems caused on human bodies in low-gravity environments such as in space. 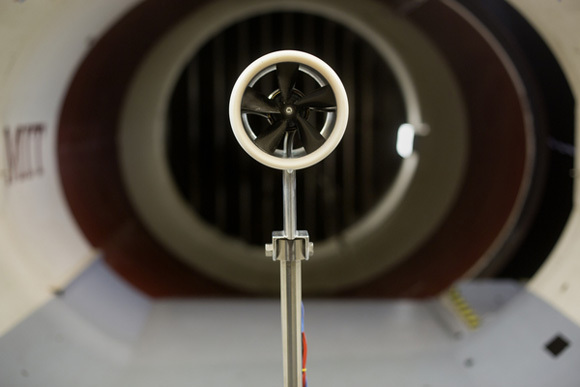 A 1:11 scale electric ducted fan stands in the Wright Brothers Wind Tunnel at MIT in Cambridge, Massachusetts, USA. 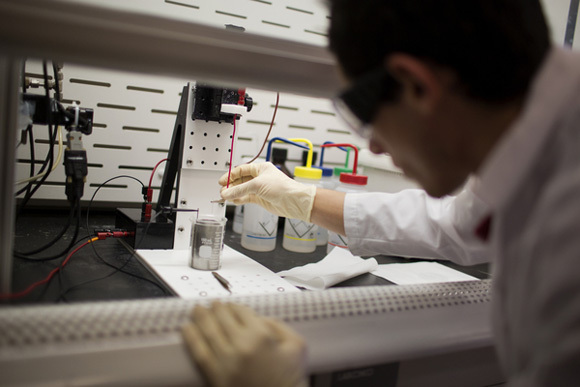 AeroAstro freshman Jimmy Rojas works to electrochemically sharpen pieces of tungsten for use in thrusters in the Space Propulsion Lab at MIT in Cambridge, Massachusetts, USA. 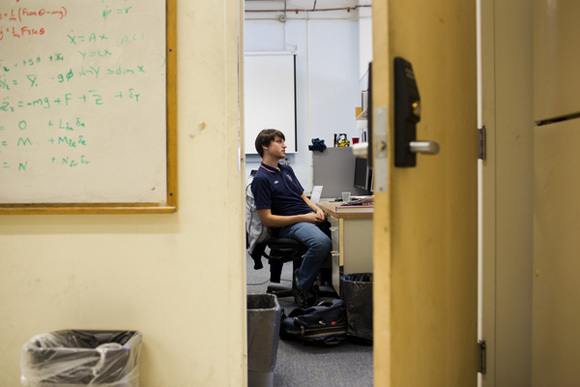 Visiting student in the AeroAstro Department Dan Grieneisen works in his office space in the Aerospace Controls Lab at MIT in Cambridge, Massachusetts, USA. 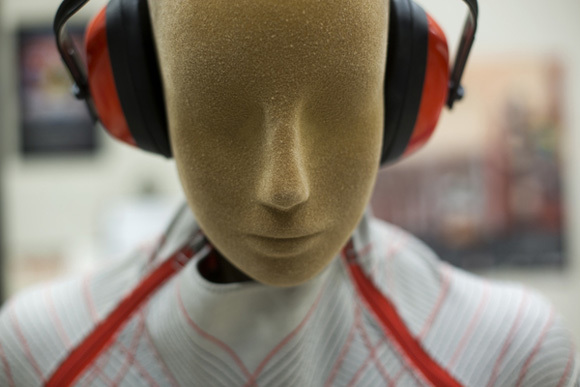 The lab develops control systems for unmanned aerial vehicles. 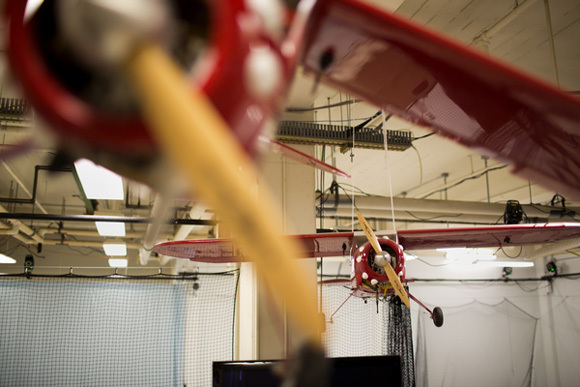 Model airplanes hang from the ceiling in the Aerospace Controls Lab at MIT in Cambridge, Massachusetts, USA. A view of desk clutter in the Gas Turbine Laboratory at MIT in Cambridge, Massachusetts, USA. 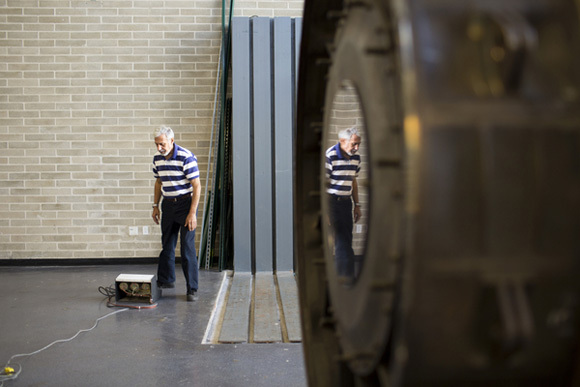 Senior Technical Instructor Richard Perdichizzi prepares a rocket engine for demonstration in the Gerhard Neumann Hangar at MIT in Cambridge, Massachusetts, USA. 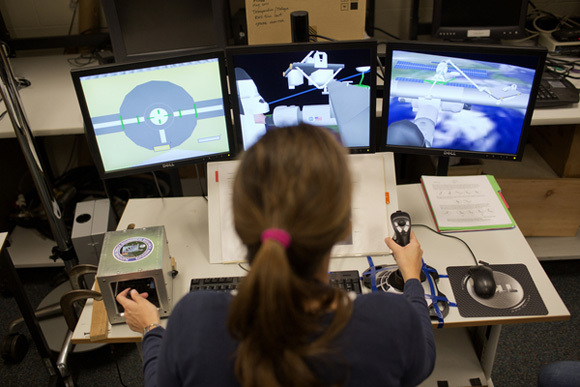 AeroAstro grad student Ana Diaz operates a robotics work station simulation the space station's telerobotic arm in the Man Vehicle Lab at MIT in Cambridge, Massachusetts, USA. Grad students Nina Siu (right) and Michael Lieu place a 1:11 scale electric ducted fan in the Wright Brothers Wind Tunnel at MIT in Cambridge, Massachusetts, USA. Students listen to a presentation from the Laboratory for Aviation and the Environment while eating pizza at MIT in Cambridge, Massachusetts, USA. 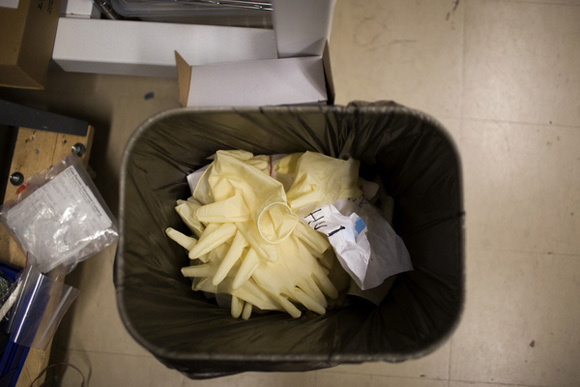 Discarded lab gloves lay in a trash can in the Space Propulsion Lab at MIT in Cambridge, Massachusetts, USA. 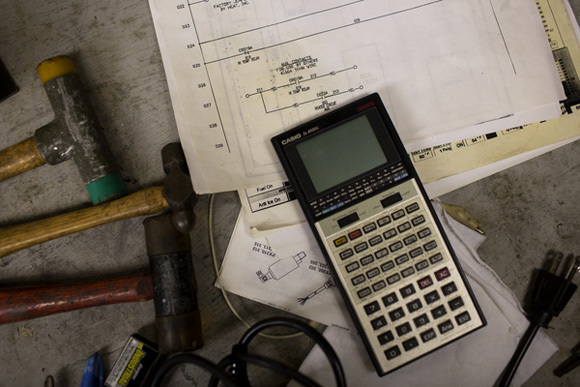 As part of a series of department profiles at MIT, I photographed classes and labs in the Department of Aeronautics and Astronautics at the school.